Chronic neck pain is a health issue that a large number of patients have difficulty finding effective treatment for. Most doctors do little to address the origin of this chronic issue, instead offering prescriptions for pain relievers, anti-inflammatories and muscle relaxants. While these medicines may offer a temporary respite from the chronic problem of neck pain, they don’t offer a lasting solution. If you’re searching for a true solution to your neck pain, you should learn about temporomandibular joint disorder (TMD) and the effect it can have upon your neck health and function. A majority of people with TMD also experience chronic neck pain. Studies of this anatomical region have revealed that the jaw muscles do not work independently of those in the neck. In fact, any movement of the jaw also uses muscles in the neck, so any misalignment found in the temporomandibular joint will produce improper posture and motion in this entire region. Due to reciprocity of the interaction between these regions, it’s clear to see why TMD can be a common root cause of chronic neck pain. A majority of patients with this syndrome are female, so researchers are also trying to understand if there may be a hormonal component that causes this gender disparity. 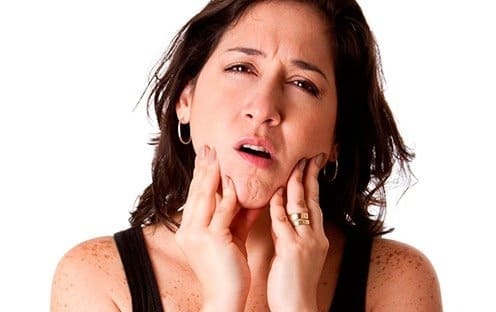 Since many of the causes of TMD become the symptoms of the disorder, such as teeth grinding and poor posture, a comprehensive and integrative course of treatment and therapy is required in order to effectively treat this painful condition. The presence of TMD often causes sufferers to habitually clench their jaw in order to obtain an alignment that doesn’t cause undue pressure and obstruction to the structures of the mouth. This clenching causes persistent muscle tension in the jaw, neck and shoulders, thus creating an imbalance in posture. Chiropractic care may help to address the underlying origin of your neck pain without resorting to harmful pharmaceuticals, painful anti-inflammatory trigger-point injections or surgery. By considering the human body as an interconnected system of musculature and skeletal relationships, the field of chiropractic care offers evidence-based and effective treatments to help eradicate the causes of chronic neck pain.